Some Guild members are available for hire. One of them might be perfect for your special event. Fees vary according to experience and qualification. To hire a storyteller, contact them directly, or email badenstorytellers1 _at_ gmail.com, and we will ask our members. Many of our tellers are not listed here. Also, we can recommend tellers with specialized experience, or more availability, who may not be guild members. Storytelling Toronto and Storytellers Canada – Conteurs du Canada also have directories. Mary McCullum Baldasaro’s love of language, voice, and story find natural expression in teaching (French as a second language), storytelling, acting, and playwriting. She is a regular teller at Stories Aloud in The Story Barn and has performed in schools, libraries, at the Toronto Storytelling Festival, Latitudes Festival, and Heart & Hand Festival. Contact Mary at storygirl@hotmail.ca . Brenda Byers, Artistic Director of Storywyse, tells folktales for all ages full of wit, wisdom, trickery and fun. She has performed at storytelling festivals throughout Ontario on the adults’ and children’s stages. Blending tales with music, Brenda tells stories through songs and interactive play. She arranges concerts featuring fantastic storytellers and musicians in a variety of venues. Her storytelling programs in schools bring to life historical events, lend a way to listen to the environment, promote literacy and engage students in empathy and awareness in the classroom. Join in the sharing of a tale! Judy has been telling stories for more than three decades. She has presented workshops on becoming a storyteller and using storytelling with students. She has told in a variety of venues from The Storytelling Festival of Toronto, Goderich’s Celtic Roots Festival, and Edinburgh’s Scottish Storytelling Centre, to conferences and classrooms. Her repertoire includes folk and fairy tales, personal stories and Canadian stories. She is looking forward to telling tales for many years to her grandson, Simon, who is wise beyond his years. Paul is a singer/storyteller who is noted for his humorous tellings of the stories behind the songs. He performs solo and in partnership with his storytelling wife, Judy. He is also a member of Credit River Time, a Brampton-based quartet. He has performed at: The Toronto Storytelling Festival, Guelph’s Tea ’n’ Tales Festival, Edinburgh’s Scottish Storytelling Centre, Brampton’s Sanderson Hall, and the Peel Art Gallery Museum and Archives. Stephen is a singer and storyteller who enjoys telling traditional fairy and folk tales to children of all ages as well as personal and historical stories to adults. He has enjoyed annual local performances for non-profit organizations at heritage sites and churches. John Wesselson has been telling stories since 2003. His favourites were written in the late 19th century and he tells them as written, bringing the author’s words to life again. He loves causing a listener to fall into a story so deeply that afterwards, they remember what sights and feelings it brought to them more than who told it. Contact John at johnwesselson@gmail.com . 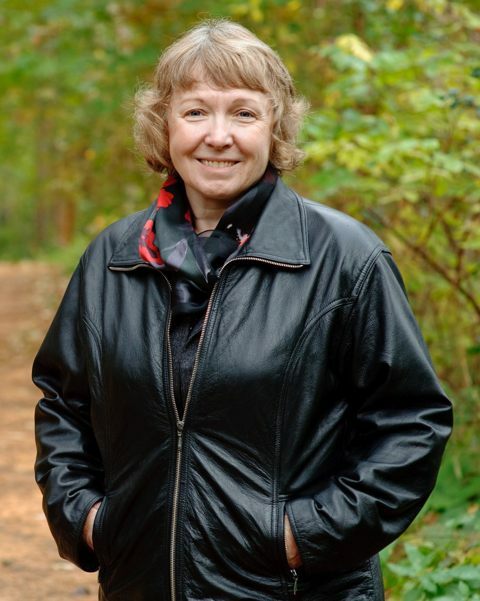 Carolyn Wilker is a freelance writer and speaker from Kitchener, Ontario. A former preschool teacher who loved story time as much as her students, and a Toastmaster experimenting with storytelling, she came to the Baden Storyteller’s Guild to experience the art more fully. Her repertoire includes folk tales, poetry, and stories from her pen and her experience. She tells at Open Story Night and in the wider community. As a retired educator and her work with the elderly Barb has seen the power of a good story and has used stories to engage and touch the hearts of her listeners. She has told in schools, conferences, retirement homes, churches and long term care facilities. Barb’s love of stories, sense of fun and desire to help folks smile spills over onto her audiences. You never know when an interesting prop or some music will appear. Barb would be delighted to create a program that best suits the interests of your audience. Contact Barb at barb.vollick@gmail.com . Also check our Friends and Fellow Tellers page. Several of the storytelling groups have directories of tellers.